This Microwave Cart Is One Of The Best Choice For Your Kitchen. Size: 24 In.(W). x 17 In.(D). x 52 In.(H).. 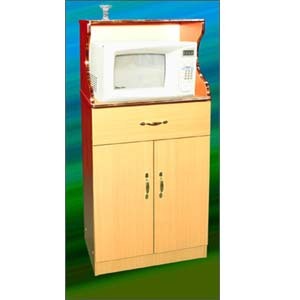 This Microwave Cart Is Also Available In Custom Size. If You Would Like A Plarticular Size, Please Indicate The Size In The Shipping Comments Box Or Contact Us Via Email Or Telephone. This Microwave Cart Is Shipped Fully Assembled or can be shipped unassembled upon request.